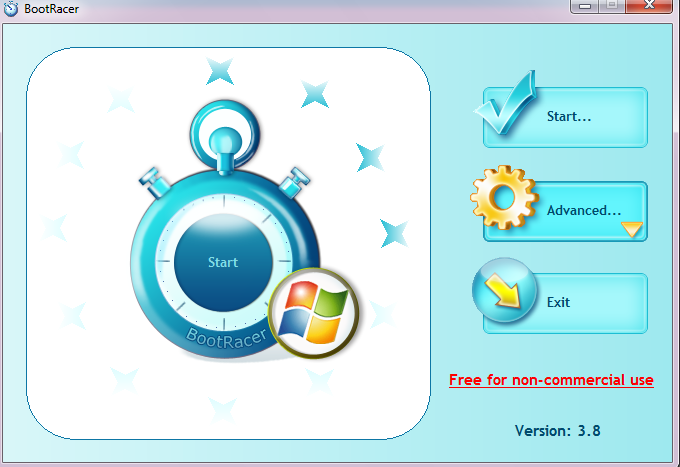 BootRacer is a freeware that measures the time taken for Windows to boot up and load desktop fully. This can be useful when troubleshooting or even for diagnosing system bottlenecks. Once installed, there are few options that may need to be changed depending on preference. 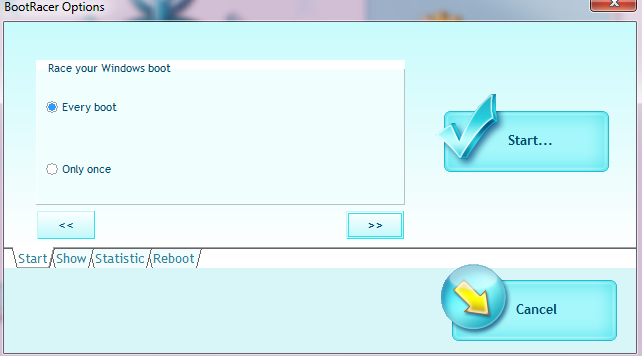 These options mainly include how bootracer will be displayed, whether it is to be enabled for every reboot or just once and also how it will write to the system log. 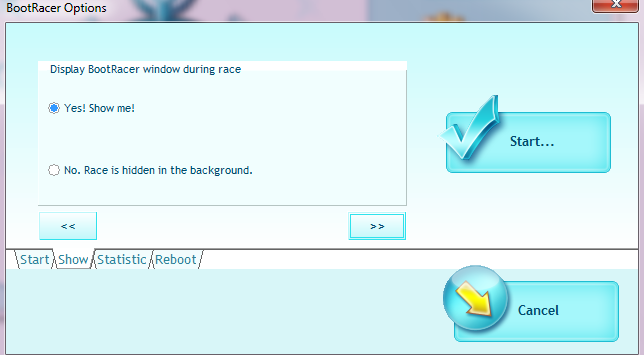 After configuring, save the changes and restart the Windows system for the measurement to begin by clicking on “Start” button of Bootracer. 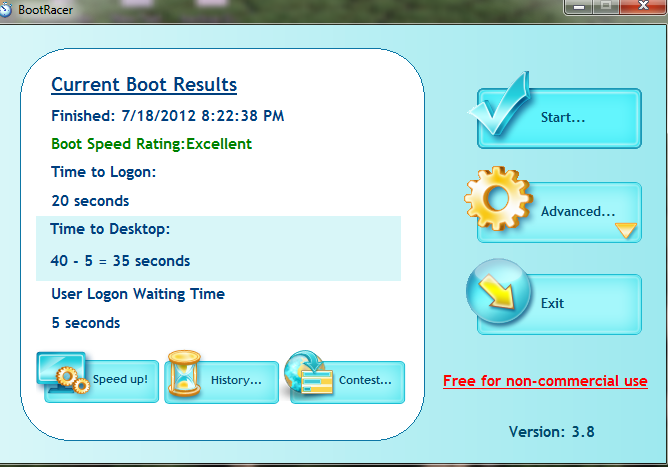 Once booted up and logged in, Bootracer will display useful statistics like time taken to display desktop, time taken for full login and so on. 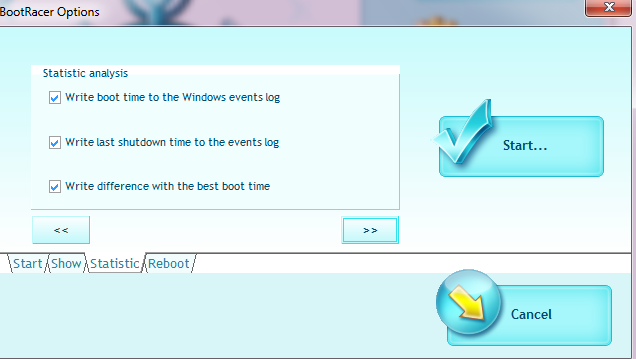 Running this app say weekly or at a set frequency can help in comparing these and checking if performance of the Windows machine has degraded or improved over a period of time.